Spelled differently: AKSAK MABOUL was founded in Belgium in 1977 by Marc Hollander (now eminence gris behind Crammed Disks) and Vincent Kenis. I heard their first LP and included it in the first Recommended catalogue. 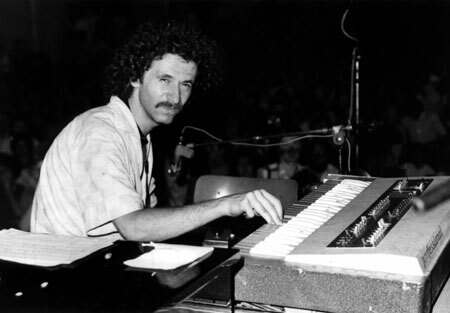 Early in 1979, Marc invited Fred Frith and me to join him, Frank Wuyts (piano), Denis Van Hecke (electric cello), Catherine Jauniaux (singing) and Michel Berckmans (bassoon, oboe) to make a record. We rehearsed in a mansion somewhere, did one concert and drove out to Sunrise in Switzerland where we made most of an LP. It was a satisfyingly collective project and a lot of fun. After that we did a few more concerts and a month later Fred and I invited Marc to join the touring version of Art Bears. For this, we rehearsed at This Heat's Cold Storage studio and then toured for around Europe a month, winding up in Prague playing to two and a half thousand people. That August Fred and I went back to Sunrise with Aqsak Maboul to finish and mix Un Peu De L'ame des bandits. Tim and Fred were both in Henry Cow when I joined in 1971, and we all three stayed until it bowed out in 1978. For a few years after that, Tim and I were both partners in This Heat's Cold Storage studio, and I recorded the News from Babel and Downtime LP's there - with Tim himself, or Bill Gilonis engineering. Art Bears rehearsed there too, before our only tour in 1979. In 1989, Tim helped prepare The Henry Cow Book and in 1991 he invited me to join members of The Work and others at the Reims Festival. 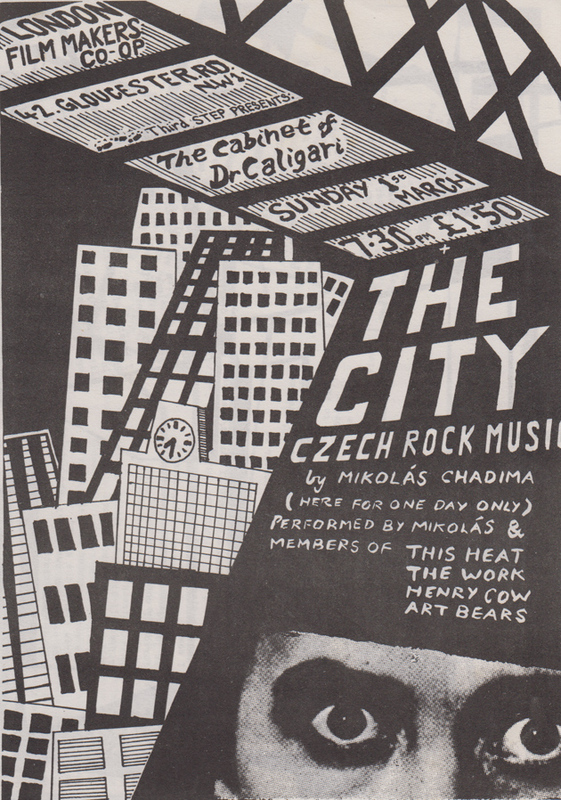 I reciprocated with an invitation for him to be in Mikolas Chadima's The City project when Mikolas, amazingly, made it to London (also featuring Charles Bullen, from This Heat and Mick Hobbs. The next year I joined a touring version of The Work in Japan, and the year after that we did a duo concert as part of an IASPM event. In 1984 we co-wrote and recorded a song with Robert Wyatt to raise money to support the British miners strike (also featuring Henry Cow, Robert Wyatt, Adrian Mitchell, Lindsay Cooper and Sally Potter. Tim, Fred Frith and I got back together for a trio concert for the LMC in London in 1986 and soon after this I asked Tim to join the European touring version of The Kalahari Surfers. 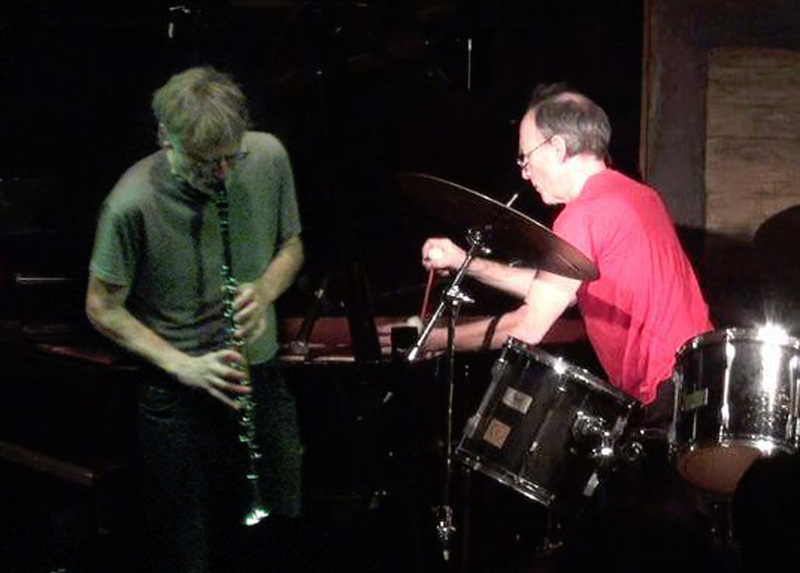 As a trio with Fred Frith, we performed for three nights for Downtown Music at Zorn's The Stone in New York and as a duo we toured Northern Norway in tiny propeller planes) and did occasional concerts in England, Spain, Slovakia and Holland. Since1998 we have both been working (he more than I) with Iancu Dumitrescu and Ana-Maria Avram's Hyperion Ensemble and Hyperion International. In 2016, alongside the Macedonian composer Nikola Kodjbashia and singer Emma Bonnici, we composed and performed the music for choreographer Fabien Prioville's Suite - a sequel to Pina Bausch's Cafe Muller, in Wuppertal. Yumi Hara, Tim and I also constitute The Watts, a trio mainly touring in Japan. The Work Live in Japan. Released in Japan. No catalogue number. Not reissued. The Worst of Everywhere. Cassette. The Black Sheep, Zurich. Colin McLure, Graham Keatley, Loek Van Saus, CC. After Geoff Leigh left Henry Cow, he was involved in a number of interesting projects - my favourite of which was Radar Favourites with Charles Hayward, Gerry Fitzgerald and Jack Monck. Later he formed Red Balune with Kathy Williams (Fred Frith and I recorded with them at Sunrise after we had finished Winter Songs). By 1981 he was living in Rotterdam and had founded the Black Sheep with Colin McLure and Loek Van Saus (who had organised numerous concerts for Henry Cow in Holland in earlier years). Early in '81 I went to Rotterdam to rehearse with them in the shopfront they lived in for a double tour with the Black Sheep and the Janus Circus- a kind of circus, founded by Chris Wangro from New York. Flashback: Chris had turned up out of the blue in the middle of Henry Cow tour some years before, somewhere in Europe, hitched a lift with us to the next town and eventually stayed on for a couple of weeks - helping with equipment and occasionally playing the Bass Clarinet. 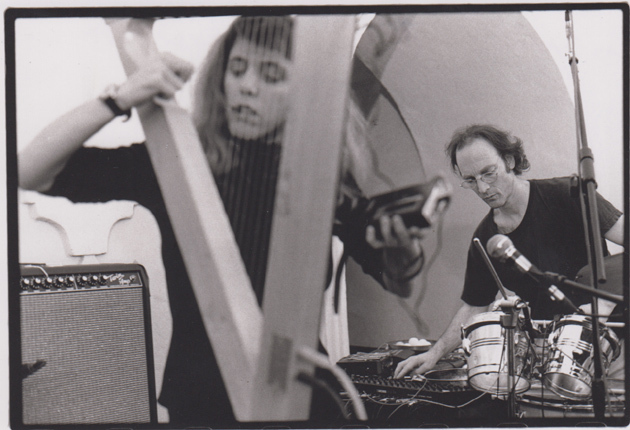 Zeena Parkins was also in the Janus Circus (she and CW had been at Bard together) and, as told elsewhere, the idea for News from Babel was born during these Black Sheep rehearsals. Much of the following tour, and of subsequent work with The Black Sheep involved time spent in Yugoslavia, where we made many friends. I met Stevan Tickmayer on one of these visits (we all played together one afternoon in the garden of a local sculptor in Novi Sad). Graham Keatley (who did so much of the artwork for Recommended in the first years) had joined by then - and later still there was The Headmasters. More recently Geoff and I have both been involved in the occasional bands, the Artaud Beats and Jump for Joy. I met Zeena, in Rotterdam, in 1981 I think. We were rehearsing together - I with The Black Sheep, she with The Janus Circus - for a merged concert tour. Apart from being an accordion-playing bear and an unruly TV set, I learned, in the long evenings, that she had also studied the harp and was an accomplished pianist. Now, harps (and related instruments, like Kotos and Coras and zithers are my Achilles heel; I had looked for a harpist since the mid Henry Cow period. Zeena said she was a little rusty. I said, I PROMISE we will make a record if you will play the harp. I had wanted anyway to make a song record with Lindsay, so I proposed a quartet (with Dagmar singing) and gave her a collection of texts. In October 1983, Zeena flew over with her troubadour harp and we made Work Resumed on the Tower, the first of two song CD's under the name of News from Babel. The next year, Lindsay, Zeena and I did a number of trio concerts in America and the year after that we recorded the second News From Babel LP, Letters Home. 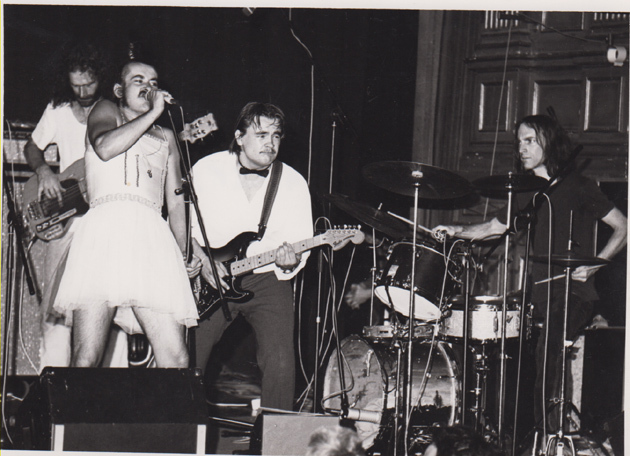 Contraries, which Zeena wrote for this group, was I think her first band composition. In the same year. Zeena joined Skeleton Crew with Fred Frith and Tom Cora and it was another nine years before we finally got around to doing a duo concert (in Hamburg in 1994). Many others followed, a couple of which - one from the Queen Elizabeth Hall in London and another from Link in Bologna - appeared on our CD, Shark (ReR CCZP). This duo has appeared at festivals, galleries and in dives all over the place. We were both involved in Fred's Graphic Scores project and Ikue Mori's presentation of John Zorn's Cobra at Wels in 2009. Zeena also played an important part (keyboards) in The Art Bears Songbook and at the Lindsay Cooper memorial concert (see below). I first met Mikolas Chadima back in the late seventies in Prague. A year or so later I saw his extraordinary band Kilhets: electric, improvised, faces painted, spooky- unusual to say the very least in Czechoslovakia at this time. He also ran a series of interesting rock ensembles and sang, as all Czechs did then, like a bear. He also played guitar and saxophone. In 1981, against all the odds, he managed to get a visa to visit London for a week. It seemed too good an opportunity to miss so I rented a space, a PA system and roped in The Work's Mick Hobbes and Tim Hodgkinson - plus This Heat's Charles Bullen - to make up a quintet, and asked painter Graham Keatley if he wanted to build sets. He did. We rented the film The Cabinet of Dr. Calagari and printed leaflets and programmes with Mikolas' texts in English. The City was his only concert outside Czechoslovakia (he later recorded the piece in Prague with another ensemble). He is still working and recently produced the magnificent Pseudemokritos. We also played one duo concert in Prague in 2001.